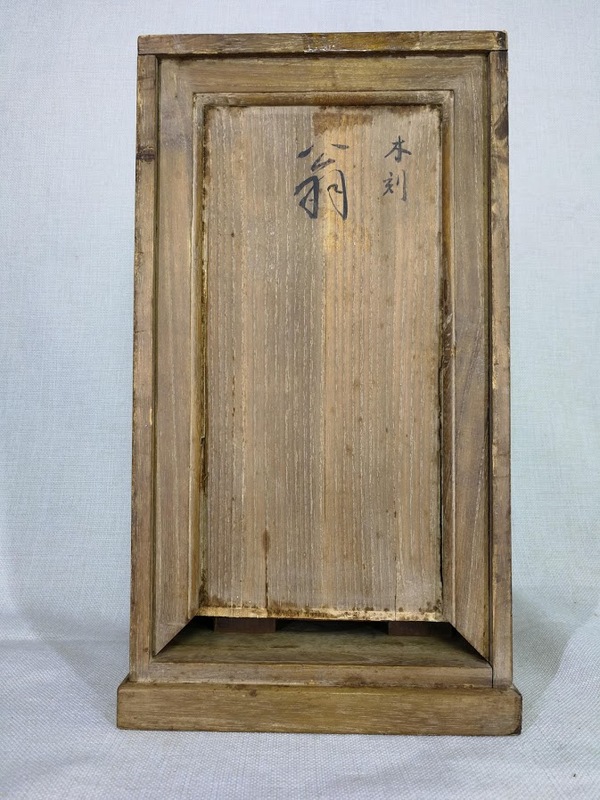 Subject:Japanese wooden figurine meiji or older? 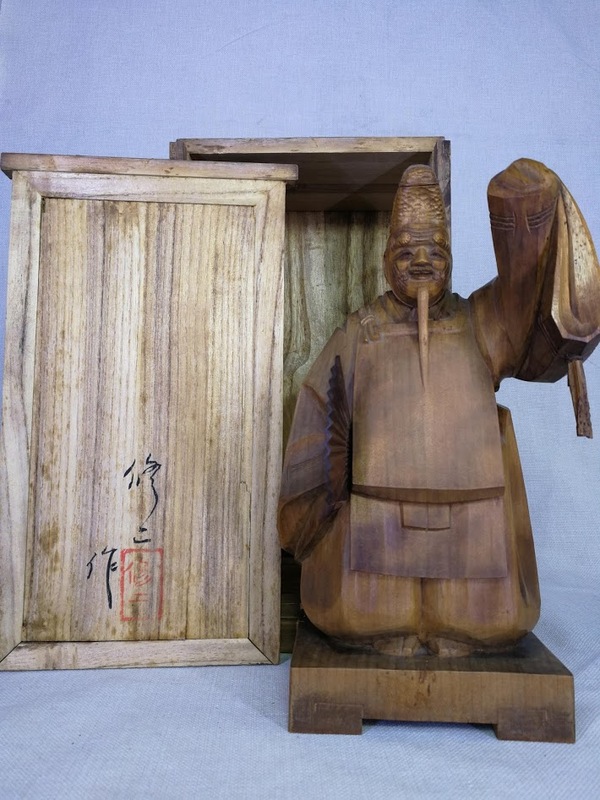 Would love to identify this wooden figurine, judjing by the box it is at least century old. hope to identify maker and period. thank you. 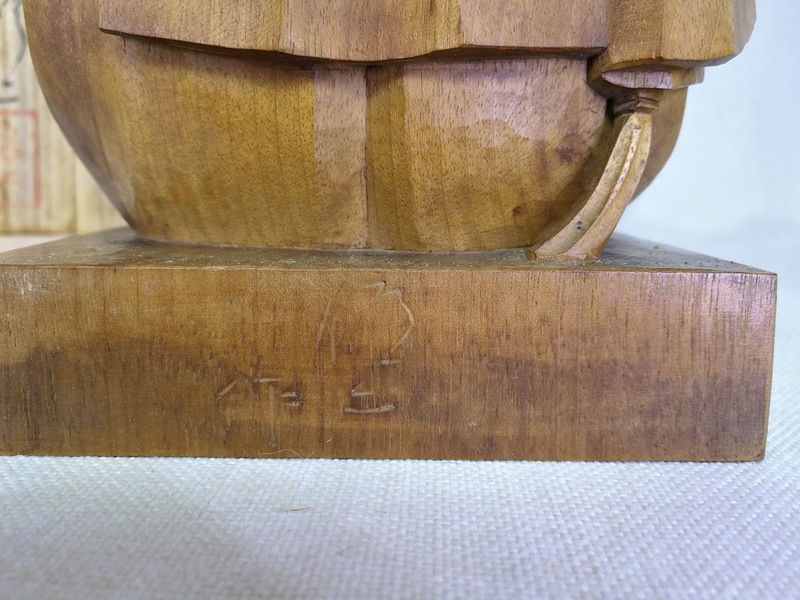 Subject:Re: Japanese wooden figurine meiji or older? Unfortunately, I could not find wood-carver artist under this name.